WorldGuy's Walk for Diabetes Awareness -: Clovis, Cannon AFB. The last two days walking out of Texas the wind favored progress, thirty seven miles. The walk from the border town Texico; into Clovis, the crosswind in my face was challenging. Aside from a direct headwind, it is the most difficult. Each state has its own standards for roads . The big, flat, Texas emergency lane turned, comparatively, to a sharply tapered and much narrower paved berm. One mile per hour was all I could muster for the eight miles to Clovis. A schoolteacher, whose husband had joked with her to take in the man she had seen with a dog walking along the side of the road, did just that. She met me on the road to Farwell the previous day to offer a meal and a shower when we arrived in Clovis. When I found a safe place, Iron Horse Detail Shop, her husband came to my aid while she prepared a hot dinner. Shepard's Pie. The warmest times come when sharing a meal with a loving family. I am glad the schoolteacher mistook her husbands' sarcasm for suggestion, her husband was also. 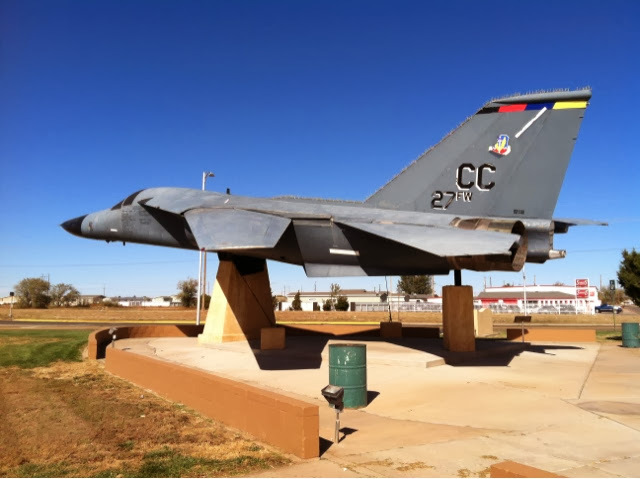 The next day, with similar wind conditions, I labored out of Clovis to Cannon Air Force Base. On the way out of town I met the man who would give me a ride back to the van when I stopped by Allsup's store near the base. He had brought me bean burritos for breakfast, most of his hispanic family suffered from diabetes. He had been diagnosed two years earlier. For lunch; delivered hot by a woman who had heard I was walking for diabetes awareness, I had deep fried chicken fingers with gravy for dipping. I know better, but ate it anyway. The previous day filled with fruits, nuts and vegetables didn't leave me drained of energy. Wind, grease and beans slowed me to a crawl into Cannon. Don't put diesel in a jet. I had salad for dinner. I'm so very glad we saw you just out of Clovis yesterday. God has a cool way of putting people right where they need to be. Long story short, your rolling globe was just the encouragement we needed that day. I didn't know who you were or what you were about, but thanks to a little Googling, now I do. Next time I see you, lunch will be on me. Keep on keeping on, my friend!